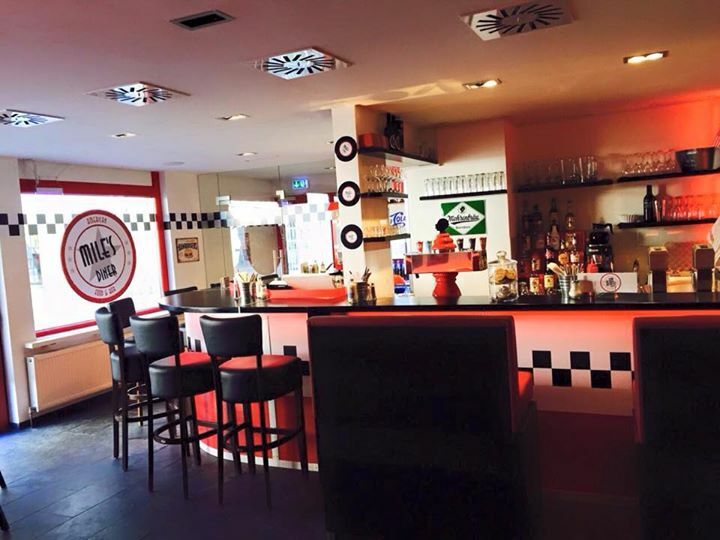 Op ened in early 2015 Miles Diner is a popular new spot in Bregenz serving American style food and drink. 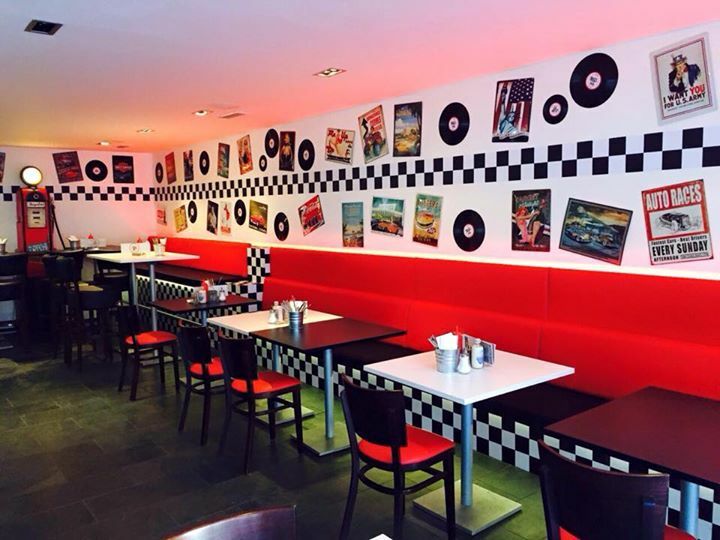 They have gone to town on recreating the feel and style of an American diner creating a unique and inviting atmosphere. Once you’ve taken in all of the records and posters lining the walls it’s time to take in the menu. This is bursting with a huge selection of burgers to cater for all tastes from the good old favourite cheese burger to chicken, veggie, fish, pulled pork and even hash browns. If a burger doesn’t take your fancy they also offer a smaller selection of ribs and hotdogs. They do have a fairly good selection of salads on offer, but lets be honest, that’s not why you come here to eat. Pretty much everything is served with french fries and as my Special Pulled Pork Burger was placed in front of me, I was really glad I skipped lunch. It was massive, but looked delicious. I was with about six other people who had also ordered one of the various burgers and we all knew we weren’t going hungry that night. Due to the sheer size and the sauce on the burgers this eating experience is a messy one, therefore I do not recommend this place for a first date ladies. Half way through some of us ended up surrendering to our knifes and forks and we all went through a fair share of napkins but everyone’s thoughts were the same… Delicious. The rolls used were nice and fresh and they did not short change you on the filling. I only managed to eat two of my fries as I was too full but they were also very good. If somehow you have room for desert they also have a good selection of freshly made cakes and muffins on offer, or you could wash your meat down with a good old milkshake. 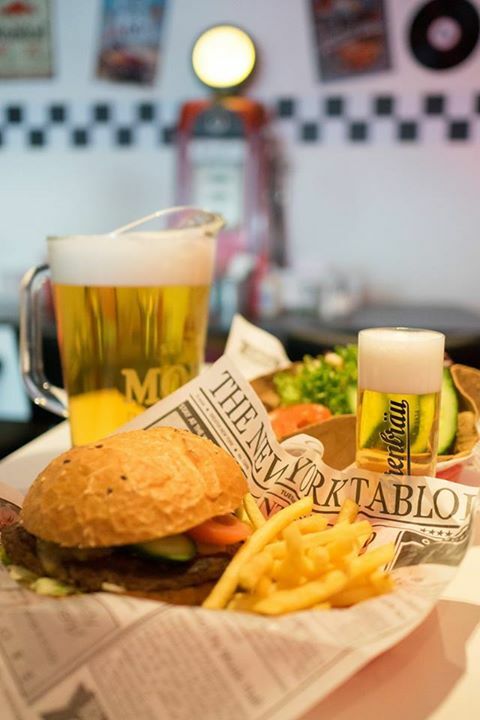 If you’re not up for food then this is also a great stand alone bar serving local and American beer, cider, wine and spirits. They have even had some live music nights. Being a non-smoker and still getting used to the smoking laws here in Austria I found it good that there is no smoking until 9pm when they stop serving food. All in all this is a great addition to the dining scene in Bregenz and well worth a visit, just make sure you’re hungry.